This is the last image I took with my Nikon D800 before it died. I was taking pictures by a river in the south of France and somehow the camera got splashed. 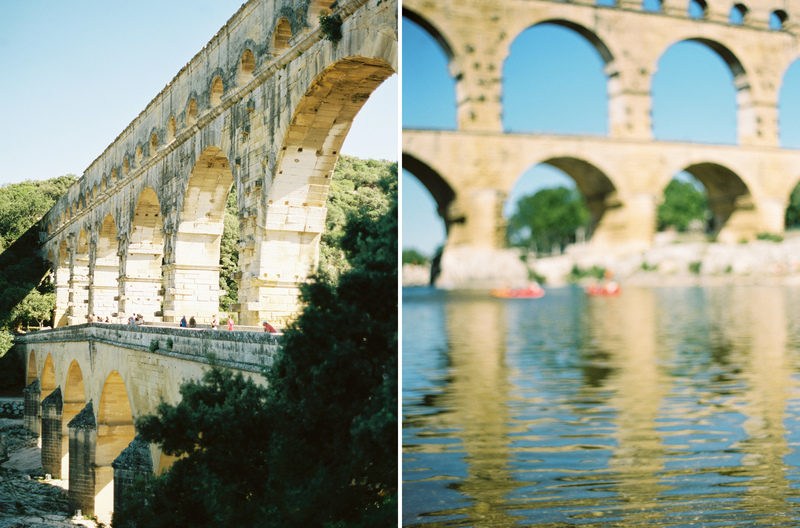 Maybe it was crazy of us, but for months we’d been looking forward to going kayaking on the river Gard, and passing beneath the ancient arches of the Pont du Gard, a Roman aqueduct. I’d been worried about losing my glasses, but in the event it was my camera that fell victim to the water. Within seconds the screen stopped working, then it stopped working altogether. We clambered back into our kayaks and somehow I kept smiling as we passed under the aqueduct. But inside I was gutted. I spent most of the rest of the day searching the internet for ways to revive my camera. But by the evening I knew it was as bad as it could be and decided to drown my sorrows. We were driving to Italy the following day and although a hangover didn’t sound like a good idea, not having a digital camera with me for the next week also filled me with horror. In the morning, before we set out, I received an e-mail from Jonathan Canlas with the images he had taken of our family in June. They were gorgeous, inspirational and (of course) all shot on film. I would, I decided, take this as a sign and go with it. Film, after all, is not dead. As well as my Nikon, I had brought my Contax 645 with me on holiday, and lots of film. I had rolls of the stuff. And then some. I nursed my sore head as we set out for Italy. It was early in the day and the sun was rising over fields of sunflowers and the towers of medieval French villages, perched on hilltops. We were rushing to take someone to catch a train, so we couldn’t stop. And anyway, I didn’t have a working digital camera. I felt as though the landscape was taunting me. 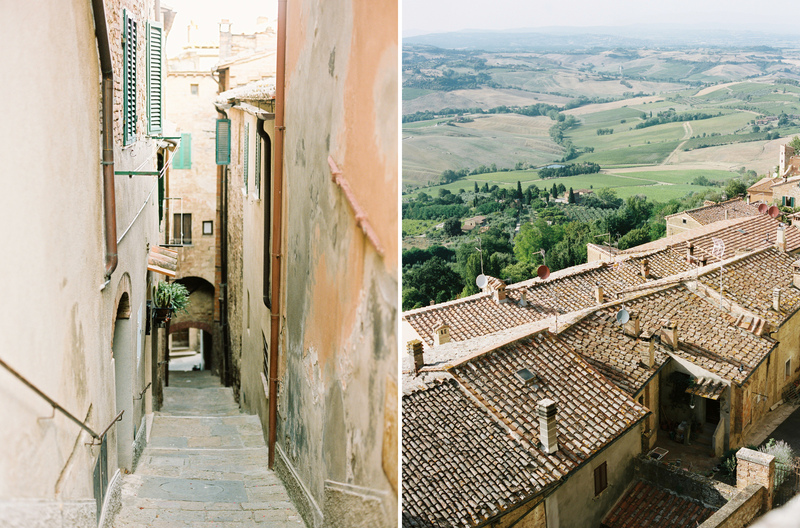 But I had lots of film and two film cameras, and the landscape of Tuscany awaited me. 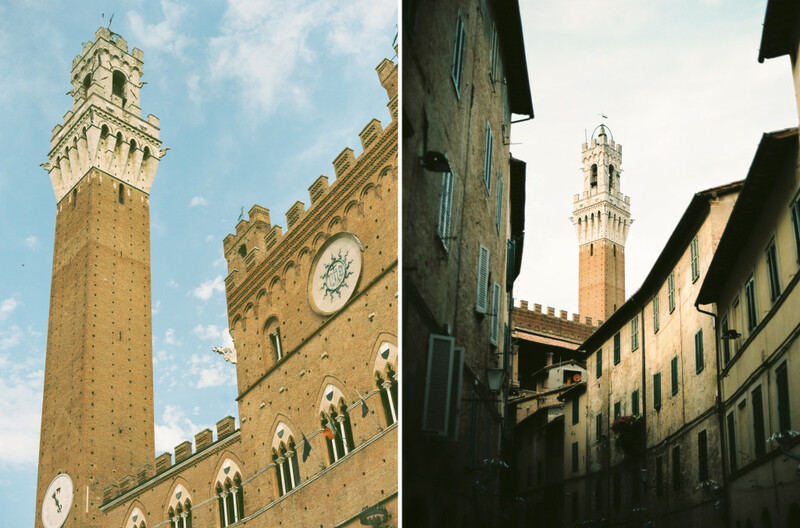 We finally made it to Italy and a dear friend lent me her old Nikon D70. I also tried using my old mirrorless Lumix camera too. I took some pictures, but neither was the same as my Nikon. I hadn’t realised how accustomed to it I had become. I felt as though a part of me was missing. I realised that I had to knuckle down and, rather than lamenting the loss of the digital camera I could not use, apply myself to the film camera I had in my bag. In some ways it was much simpler just to have one camera with me, and some rolls of film. Normally I would take some digital images and then, if I felt the subject merited it, shoot film as well. So I was used to being very selective in my use of film, and had to force myself to try some new things. 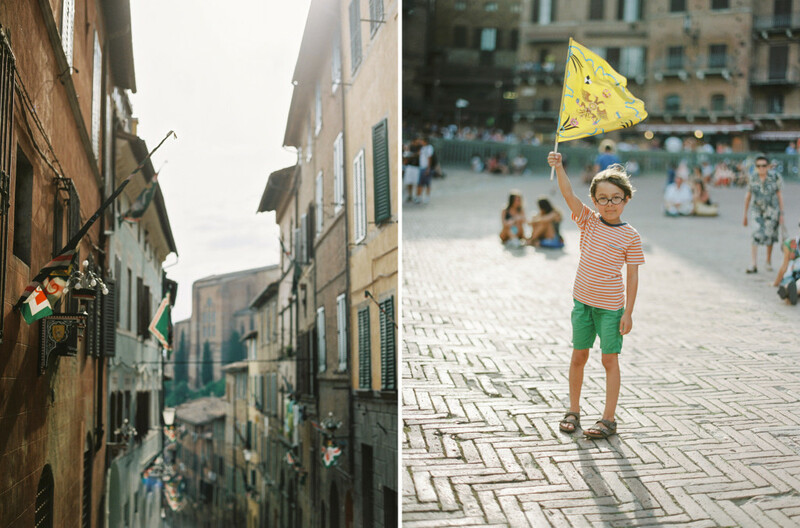 One day we went to Siena, and I had an hour to myself while everyone else went off to hunt for ice cream and stroll in the Piazza del Campo. I wandered the streets alone with my Contax 645, immersing myself in photographing street scenes and details. After half an hour I was exhausted from concentrating so hard — shooting film is much more mentally taxing! But I was also exhilarated. By the end of the holiday I had started to use my film camera a bit more like a digital camera, shooting more speculative pictures rather than just using film for images I was sure would work. The weight of the responsibility I felt — to get every film shot right — had eased off, and I started to enjoy it much more, in the way I usually enjoy taking photos. When I got home I took my Nikon to be fixed (the Nikon specialist in Italy had been closed) and was devastated to learn that it was beyond repair. Fortunately my insurance company paid for a replacement D800 within days, and I was back in business. But I realised that being forced to shoot film, and being deprived of my digital camera (other cameras and my smartphone were no substitute) for two weeks had taught me several lessons. The first is easy: don’t take your camera into the water. Ever. The second is easy, too: get proper insurance. It was worth every penny. The third lesson was that I love film, but I also love digital photography, and I realised that I use them in distinct ways. Because it costs nothing to shoot digital images, I can be more experimental, shooting action shots, images in difficult lighting conditions, and so on. I only get the film camera out in circumstances when the mood feels right and I sense that I can create a really special image. In the depths of winter, I find that I return to my film images the most; there is something more memorable about them somehow, an extra facet, a deeper emotional charge. But looking back at this summer’s images, I miss the goofy shots or action shots I imagine I would have taken if my Nikon had not died. So digital and film are complementary for me. Each has its merits, and I would not want to do without either of them. That was the main thing I took away from this summer’s enforced digital-only sabbatical: I love film, but I love digital too. This summer I was forced to do without one of them, and it made me realise how much I adore them both, in different ways. Thank you. I was so glad to have my digital camera back again though! Kirstin ~ Wow, that was quite an adventure! Sounds like it was all for the good – happily. I’m with you, digital and film each have their own merits, qualities, and charm. 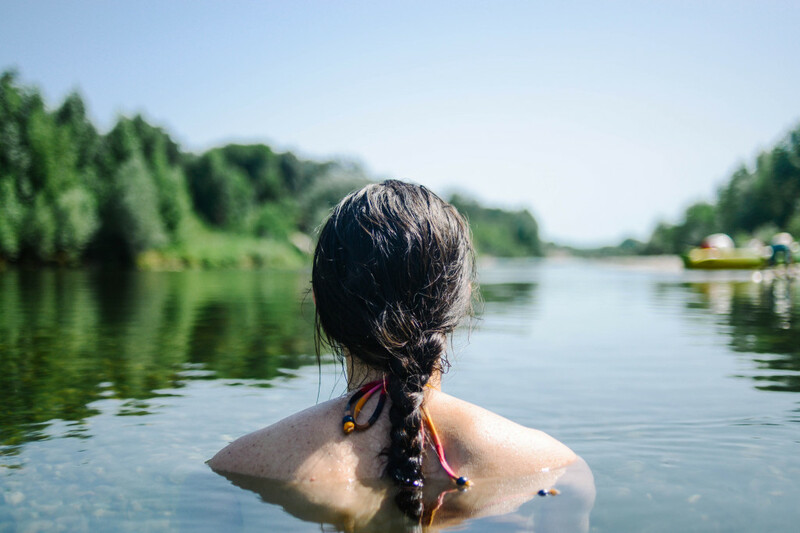 It always comes down to the image …and your images tell a stunning story, regardless of the camera used! P.S. I kayak a lot, but never take my camera. I’ve regretted the pictures that I’ve “missed”, but maybe it’s been a good choice?! It’s been an excellent choice! And I definitely won’t be taking mine again next year, should I decide to go kayaking again. Fabulous post, Kirstin! SO glad you have your digital replacement but I love the lessons you learned in only being able to shoot film. Beautiful photos, friend! The Universe was pushing you outside that comfort zone and teaching you so much. These are all wonderful. That is such a good way of thinking of it! Thank you. Ohhh how sad. I love the title, but I´m sorry for your loss. So wonderful photos. I felt your pain on this day! Having damaged various cameras on multiple trips over the years, I know how devastating that feeling is…desolate! For me, it used to be just picking up a couple of disposable cameras to fill the void. How lucky we are today to have so many choices! 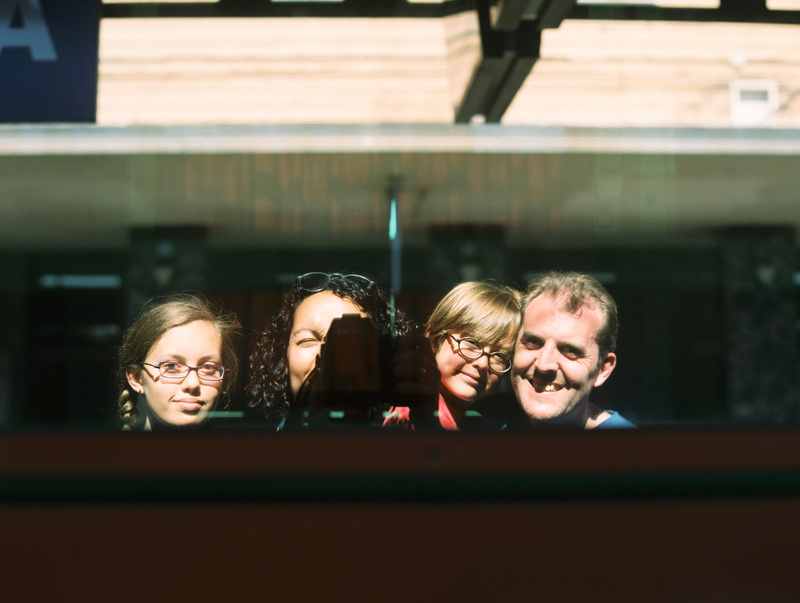 I love hearing you how loosened up with your film (i’d have the same problem!) And i love how your appreciation for all your cameras has grown! You totally rocked those shots too! Michele, I’m glad I caught you in time! I won’t be taking my camera when we kayak next year, that’s for sure! It was an amazing trip, Christy. But yes, I was glad to have a digital camera again on our return.